He popped the question months ago and now it's my turn. 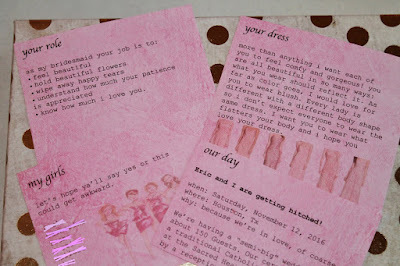 After months of waiting and trying to figure out the best way to do it, I finally "proposed" to my lovely bridesmaids. I wanted it to be something that my girls would remember, after all, this is the start to an exciting and fun planning process with my ladies. 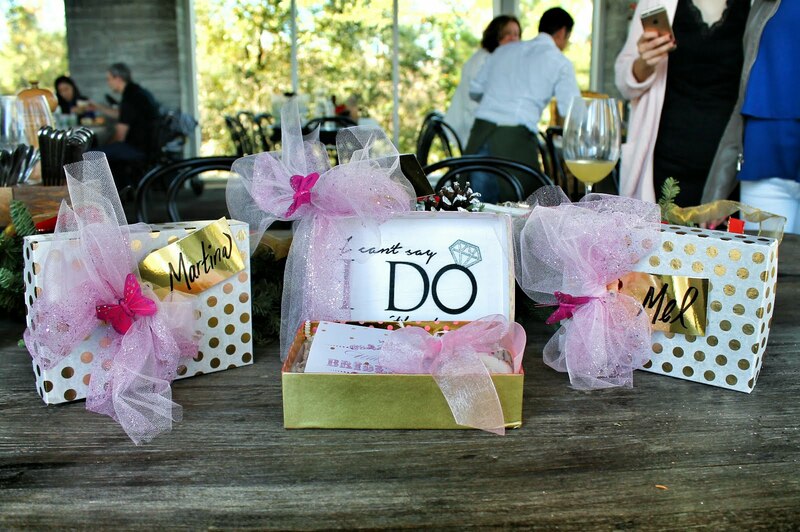 There are a ton of different and creative ways to ask the big question. 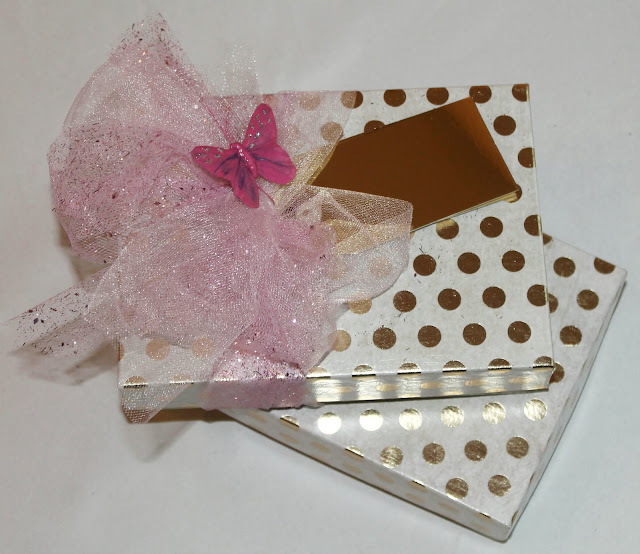 I decided to do it with a cute little box filled with details about the big day. 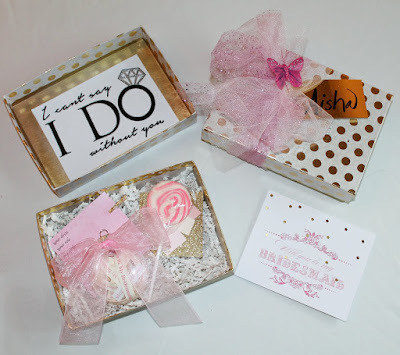 The box was a fun DIY project that I slowly worked on for quite a while. It included a card, details about the wedding day, our color palette, a yummy candy just to add some sweetness, and an appropriate Christmas ornament. 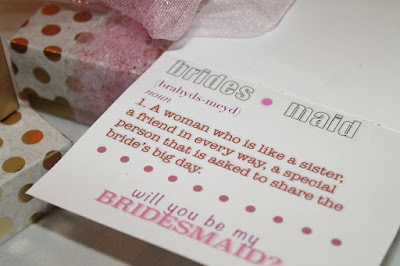 A woman who is like a sister, a friend in every way, a special person that is asked to share the bride's big day. *know how much i love you. 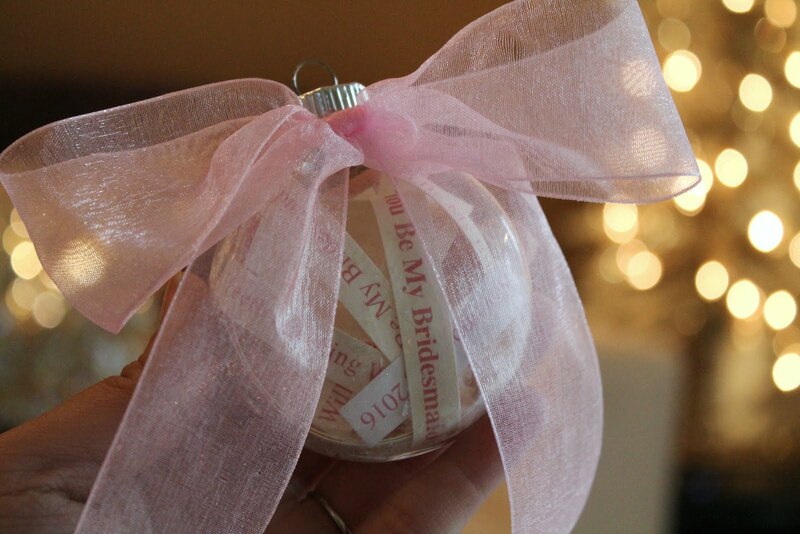 Being that we're in the joyful holiday season, I figured the perfect thing to add to their box was a "bridesmaid" ornament. 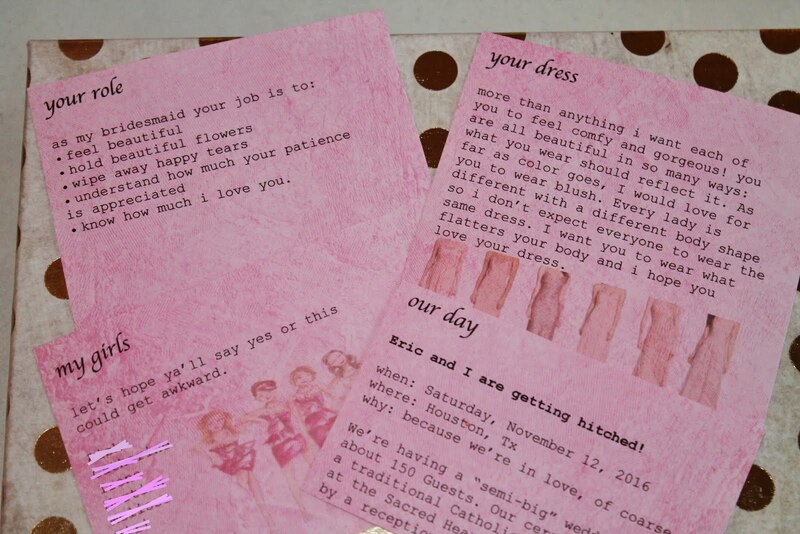 I printed out several sentences such as our date, Pedro & Yessenia, and Will You Be My Bridesmaid? I cut them and squeezed them into a clear ornament from Hobby Lobby. 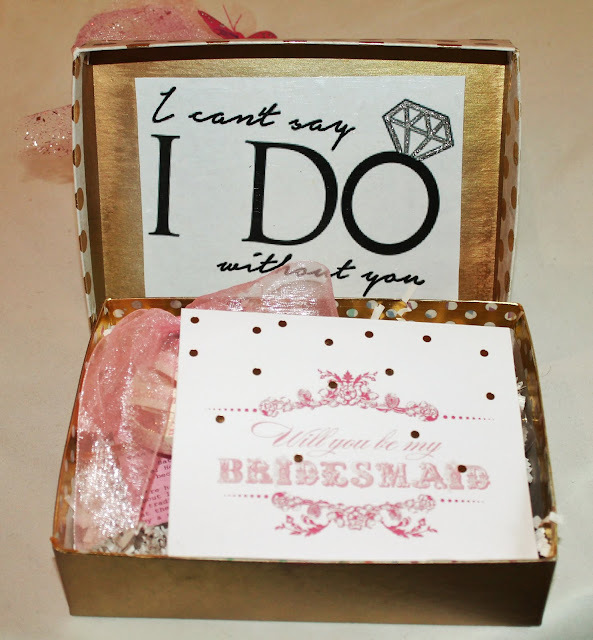 The lid included the famous "I can't say I do without you" quote that I modge podged to the inside. Everything came together better than I expected and their reaction was priceless. I put in quite a few hours into these but it was all worth it once I saw their smiles and hearing them gladly accept my "proposal". Selecting the girls who will stand by my side on my big day did not take long to decide. Figuring out how to ask them took a little longer, but nothing took as long as trying to get them all together to pop the question. Make sure to come back next #WeddingWednesday when I'll share with you who my bridesmaids will be. This is a great way to ask your bridesmaids to be a part of your wedding. 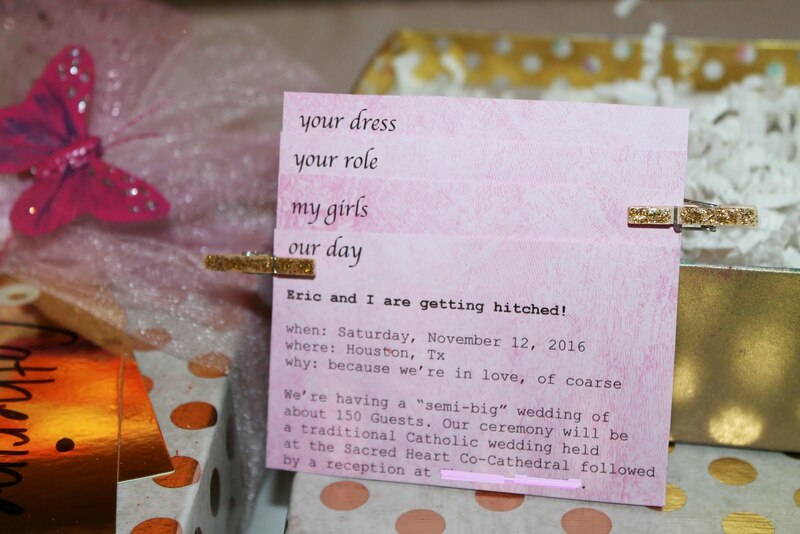 Especially I loved the card and I think it will also be a great way for me to ask my bridesmaids for my wedding at San Francisco venues. Thanks Drew Watts!!! I'm glad you liked what I did for my girls... I think your bridesmaids will love it. 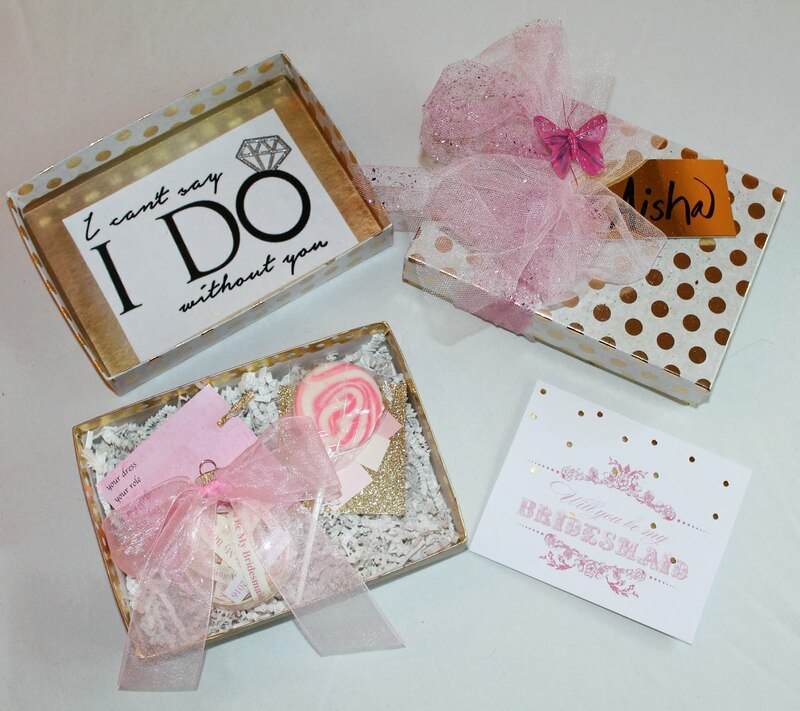 Best wishes with your wedding planning!